**Nowhere is that "independence" of the 'state within a state' more evident than in the blatant and egregious news this week that The National Security Agency destroyed surveillance data it pledged to preserve **in connection with pending lawsuits and apparently never took some of the steps it told a federal court it had taken to make sure the information wasn't destroyed, according to recent court filings. Since 2007, the NSA has been under court orders to preserve data about certain of its surveillance efforts that came under legal attack following disclosures that** President George W. Bush ordered warrantless wiretapping** of international communications after the 2001 terrorist attacks on the U.S. In addition, the agency has made a series of representations in court over the years about how it is complying with its duties. However, the NSA told U.S. District Court Judge Jeffrey White in a filing on Thursday night and another little-noticed submission last year that the agency did not preserve the content of internet communications intercepted between 2001 and 2007 under the program Bush ordered. 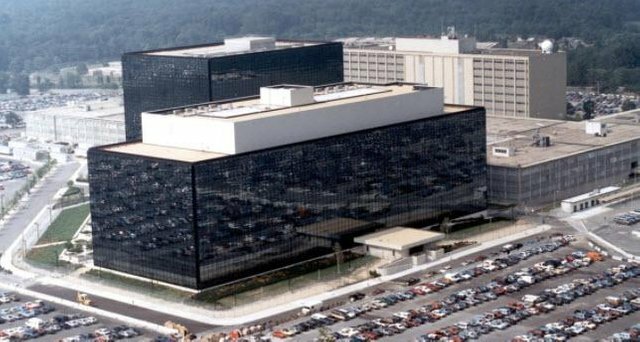 To make matters worse, backup tapes that might have mitigated the failure were erased in 2009, 2011 and 2016, the NSA said. > **"The NSA sincerely regrets its failure to prevent the deletion of this data," **NSA's deputy director of capabilities, identified publicly as "Elizabeth B.," wrote in a declaration filed in October. "NSA senior management is fully aware of this failure, and the Agency is committed to taking swift action to respond to the loss of this data." **"It's really disappointing," **said David Greene, an attorney with the Electronic Frontier Foundation, which has been leading the prolonged litigation over the program in federal court in San Francisco. "The obligation's been in place for a really long time now. … We had a major dust-up about it just a few years ago. This is definitely something that should've been found sooner." Word of the NSA's foul-up is emerging just as Congress has extended for six years the legal authority the agency uses for much of its surveillance work conducted through U.S. internet providers and tech firms. Antiwar activist Justin Raimondo believes that something like a civil war is coming, with** the war party Establishment fighting to defend its privileged global order while many other Americans seek a return to normal nationhood with all that implies**. If true, the next few years will see a major internal conflict that will determine what kind of country the United States will be. Films are subject to the American "deep state" reality, and the US Department of Defense is in the Pentagon. The name of this structure in the Pentagon is "Office of Net Assessment". The deduction from the name, the "Final Assessment Bureau ..." is to evaluate the developments in which the world is living and to shape the American military structure in the course of these evaluations in the course of 30-50 years. It is known that the employees there are in a brain storm that is more than 50 years old, and that the decisions they make are about the future of your children, even your grandchildren! .. Founded in 1973 by Richard Nixon, Andrew Marshall, the legendary name of the strategy field, born in 1921, was appointed. Marshall remained in that position until January 2015 (94 years old), when he was retiring voluntarily on that day, now that you have changed how many presidents have changed until retirement! Called "Yoda" in the world of security and intelligence around the world, Andrew Marshall was known for being behind the scenes of the people we always think about developments and events, and Jim Baker, who retired from the US Air Force as a colonel, but it is said that it is now determined to evaluate near threats as well as long term plans. The "Office of the Net Assessment" has been on the brink of being a cooperative partner of the American-Israeli deep state structures, where the "Israeli lobby" of the Washington security bureaucracy is strongly represented, and Jim Baker does not know how to continue doing this, All of the developments in Andrew Marshall and the "neo-con / Israeli lobby" are from the team. In short, whatever the deep state wants, it happens. This is how it came and went. I didn't know about Pentagon. Tnx for sharing. Just an example of how corrupt our system is. We will try better next time. Bush did a wonderful job of crushing individual rights with the Patriot Act....and now we are feeling the result of that. That is the thing, we never know the implications of this major legislation until decades later. Your example is quite appreciable. I'm unsure of the specific law and if anyone could inform me that'd be great: why did we extend the NSA's power for six years, instead of something like two or four? Is it still possible to curtail their increasing power? Obviously it seems likely that there was peculiarly incriminating evidence contained within that data. It would be interesting to know what type of data those records entailed. If the NSA backs-up/keeps record of phone calls, text messages, emails, etc., does anyone keep a back-up of the NSA? Apparently not. Some things never change and it seems as much as the public dislikes the NSA (wear your tin foil hats and cover your webcams!!! ), they simply provide too much secretive benefit to our government. Although as the NSA continues to become autonomous, we should seek to reign in their grasps before it's too late. However, it may already be. Just a guess but the 6 years might be in an attempt to keep it from being political considering the administration is on 4 years terms. I think the Fed chair also gets a 6 year term. Ah yeah that does make sense. Thanks for the insight. Yeah it seems quite like that. the implications of the deleted tapes might not be know for years to come but they will be needed eventually - or rather they could have been used but now that option has been removed. It the subjects of the communications were important enough to tape in the first place they must have had some doubts about them. Most terrorists do not wake up wanting to bomb buildings, they are radicalised and taught, maybe by the people on the tapes who knows. Copying/Pasting full texts of articles from known internet personalities without their consent, and without adding anything original is frowned upon by the community. www.zerohedge.com has confirmed that they have not given any permission for their content to be reused for profit. Wouldnt it be loveley to be a political asset, then you can just "sincerly regret" removing potential incriminating evidence, everyone else faces jailtime.. theie investigation will turn up nothing as usual im sure, or maybe someone from there will flee the country or already have... so many precautions taken and whoop gone anyways! Typical! Zerohedge is doing a good job exposing govt hyposcrisy. Drain the swap. Resteem and upvoted. Here is actual footage of the NSA "accidentally" deleting this data. @zer0hedge already all the deep states are doing it. They are destroying some documents. I think this is something very normal. I heard that the NSA told U.S. District Court Judge Jeffrey White in a filing on Thursday night and another little-noticed submission last year that the agency did not preserve the content of internet communications intercepted between 2001 and 2007 under the program Bush ordered. To make matters worse, backup tapes that might have mitigated the failure were erased in 2009, 2011 and 2016. I'm in two minds of the specific action and if anyone could seek me that'd be pleasurable: why did we extend the NSA's facility for six years, on the other hand of a propos two or four? Is it yet realizable to curtail their increasing gift? Obviously it seems likely that there was peculiarly incriminating evidence contained within that data. It would be appealing to know what type of data those chronicles entailed. If the NSA backs-going on/keeps stamp album of phone calls, text messages, emails, etc., does anyone preserve a guidance going on-happening of the NSA? Apparently not. Some things never concern and it seems as much as the public dislikes the NSA (wear your tin foil hats and lid your webcams!!! ), they conveniently pay for too much secretive benefit to our outlook. Although as the NSA continues to become autonomous, we should endeavor to reign in their grasps at the forefront it's too late.